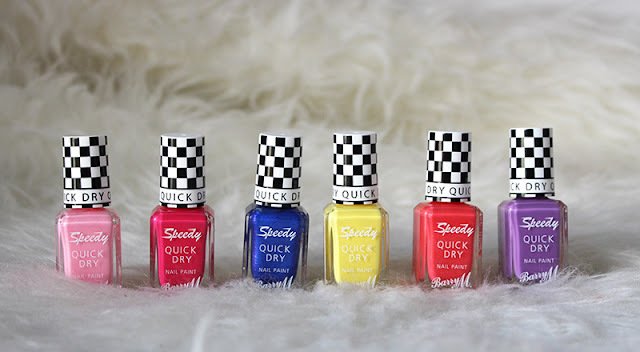 Earlier in the year I shared my thoughts on the new Speedy Quick Dry Polishes, I loved all the colours and the quality of the polish is also great, which is rare in a quick dry. 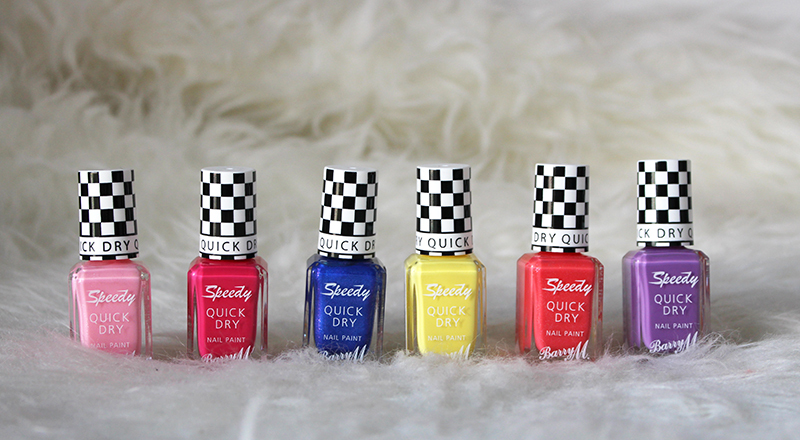 I was very excited to see that they have now launched six new colours as part of their Summer 2015 collection. The original collection is made up of beautiful spring pastels but I’m happy to see that this release has a few brighter colours and even some shimmers if that’s something you like. The formula and drying time is very similar to that of the original with the shimmers taking a minute or so longer to dry. That said I am personally not a huge fan of shimmer polishes and three of the six have shimmer in them. If you are a fan of shimmer than these are great as they apply beautifully but the creme colours attract me more; Get Set Go which is a hot pink is really beautiful but since I’m loving Yellow nails at the moment I would probably say On Your Marks is my favourite. Really beautiful colours if you’re looking to update your nails for summer. The yellow is such a nice colour! I've never though to wear yellow nail polish before but it will look so nice in summer! I've heard really good things about these polishes! Barry M always do such a great selection of colours too, i'll have to give them a try. The blue shade is so stunning, I definitely think I need to try these! I'm not really a fan of the shimmer either, standard nails are so classic! Love the coral and the hot pink! Quick dry is definitely for me, I'm so impatient when it comes to nails and just when you you're all good they smudge! Great, colourful post for Spring! These all look great, I definitely want to check them out in stores and see what colour I like best in real life. The yellow shade really stands out, but I think it would look a bit strange against my skintone. The deep blue shimmer polish looks lush!